PORTLAND, OR--(Marketwired - Jul 17, 2014) - Urban Airship, the global leader in Mobile Relationship Management, today announced two executive appointments including Steve Sterba as senior vice president of customer success, and Mark Baker as senior vice president of global sales. 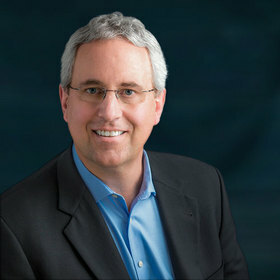 Sterba and Baker join Urban Airship's executive team, reporting directly to interim CEO and CFO Mike Temple, and will lead their organizations in close partnership to align the right solutions with the right services to help customers innovate more rapidly and drive greater returns from their mobile initiatives. Mark Baker brings more than 25 years' experience in sales leadership, developing high-performing sales teams and implementing strategies that maximize both client satisfaction and revenue. Previously, Mark was vice president of global sales for Citrix's SaaS division, where he led a global sales team of 600 people and helped to grow sales bookings from $18M to more than $140M in new annualized revenue. Prior to Citrix, he was the area vice president and vice president of sales for Monster where he led a team of more than 100 outside and inside salespeople and support teams. Steve Sterba brings more than 30 years of leadership experience from successful international public and private technology companies with a focus on software. Prior to joining Urban Airship, Steve was the CEO of Greater Giving and MyHealthBank, two private venture-backed companies that were sold to public companies. Other previous roles included SVP of business development/consulting at DataChannel, SVP of US operations at MetaPath Software International, executive director of Latin America operations and director of services in North America and Asia for Sequent Computer Systems, as well as management positions at Intel in the systems and supercomputer divisions. 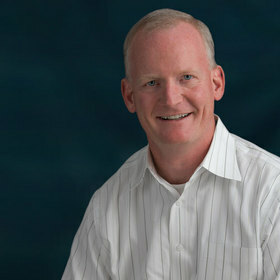 Sterba is a board advisor to the Oregon Entrepreneurs Network and several technology companies. "We are really fortunate to be able to welcome executives of Steve and Mark's caliber to the team," said Mike Temple, CFO and interim CEO, Urban Airship. "Their proven experience scaling services and sales organizations in rapidly growing markets gives us the right mix of leadership, talent and capabilities to over-deliver for the world's most demanding organizations." Urban Airship enables brands to build relationships with their constantly connected customers through Mobile Relationship Management. Its solutions streamline the creation, delivery and management of highly targeted cross-platform mobile push messages, in-app messages, rich app pages, Apple Passbook passes and Google Wallet cards. With billions of messages and tens of thousands of passes delivered each month, Urban Airship's technology sparks exceptional consumer experiences, drives app engagement and increases customer loyalty and lifetime value for the world's largest retail, media & entertainment, sports and travel & hospitality brands. For more information, visit www.urbanairship.com and follow us on Twitter @urbanairship. Steve Sterba brings more than 30 years of leadership experience from successful international public and private technology companies with a focus on software. Mark Baker brings more than 25 years’ experience in sales leadership, developing high-performing sales teams and implementing strategies that maximize both client satisfaction and revenue.